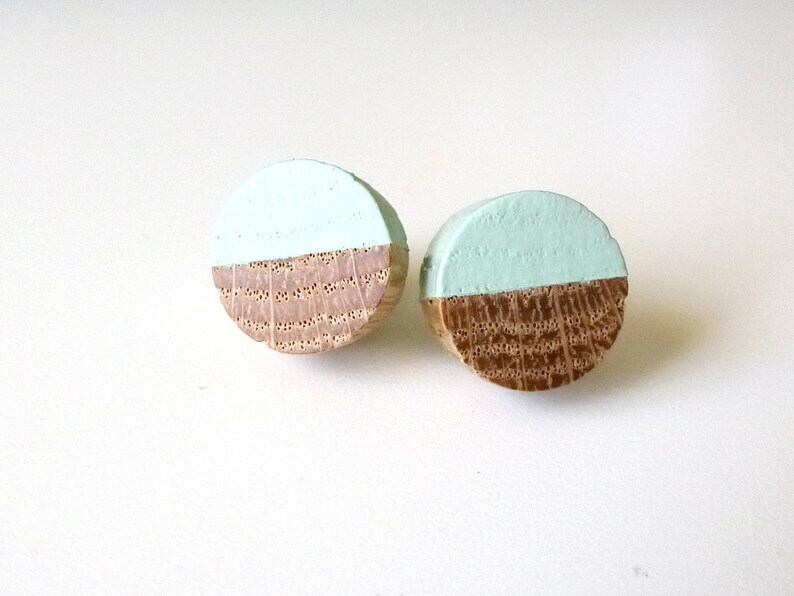 Show off your style with these half-painted wooden earrings. Raw oak grain contrasts with mustard yellow for a earthy look. This style is a 1/2" (13mm) flat oak wood cylinder. Stainless steel posts with clasp back are nickel free for sensitive ears. All my items are handpainted and carefully sealed to preserve color and longevity. Wood grain will be unique to your pair of earrings.